Bahamas Paradise Cruise Line (BPCL) will welcome its newest addition to the fleet, Grand Classica, as she arrives in the Port of Palm Beach on Friday, April 13, 2018 for her inaugural cruise. Bahamas Paradise Cruise Line is the only line offering two-night cruises departing year-round from the Port of Palm Beach. 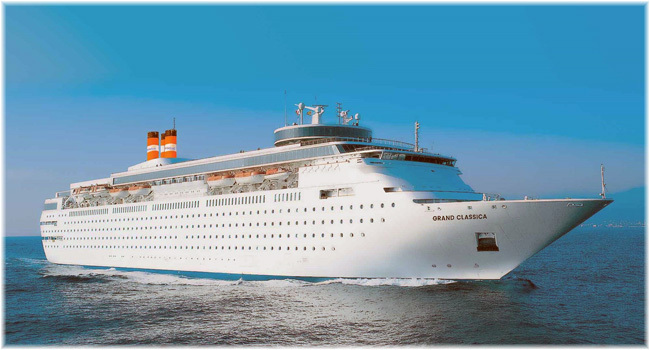 Grand Classica will now compliment Grand Celebration’s service to deliver daily departures to Grand Bahama Island. The two ships will carry a combined 500,000+ passengers annually to the island’s port city of Freeport. Prior to her departure, Grand Classica will host community leaders, travel agents, media and partners for a welcome ceremony and ribbon cutting with Bahamas Paradise Cruise Line CEO Oneil Khosa, President Kevin Sheehan Jr., Palm Beach County Mayor Melissa McKinlay, Minister of State for Grand Bahama J. Kwasi Thompson, Port of Palm Beach Executive Director Manuel Almira and other community officials and business leaders. Bahamas Paradise Cruise Line is the only provider of two-night cruises and cruise & resort stays to Grand Bahama Island year-round from the Port of Palm Beach. Majority owned by the family of former Norwegian Cruise Line President and CEO Kevin Sheehan since December 2016, the company now operates Grand Celebration and Grand Classica as of April 2018. The addition of a second ship doubles the Line’s capacity and with both ships sailing to Grand Bahama Island, the company is projected to carry more than 500,000 passengers annually and be the largest contributor to tourism in Grand Bahama Island.